The Old West Lawrence Association is a neighborhood association in Lawrence, Kansas. 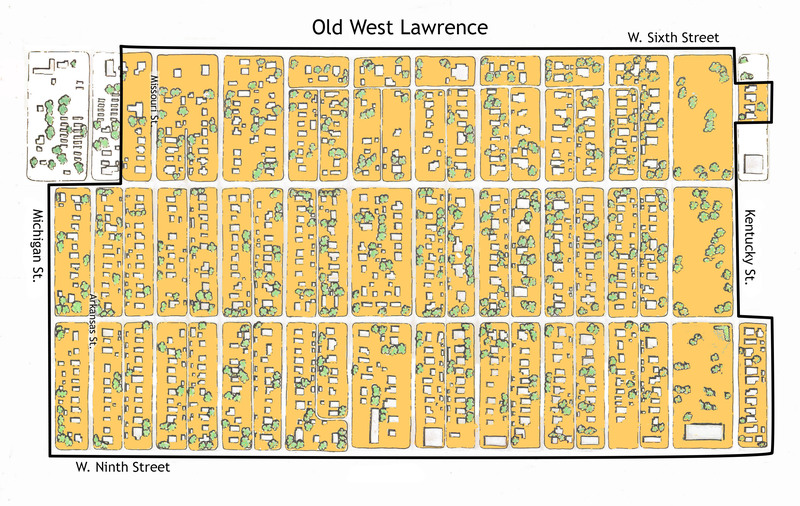 The boundaries of Old West Lawrence are 6th and 9th Streets on the north and south, the 600 block of Missouri St. and the 700 and 800 blocks of Arkansas St. on the west, and the alley east of Kentucky St. on the east. In 2016 OWLA celebrated its 55th Anniversary. Fifty-five years of making Old West Lawrence a better place to live. Membership in the Association is automatic for residents of the Old West Lawrence neighborhood. No dues are collected, but donations are welcome.